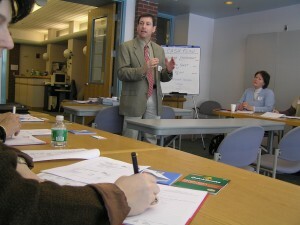 Maine SBDC offers both live and online workshops. Topics range from the fundamentals of starting and owning a business to more complex business issues. Live workshops are offered at low or no-cost throughout the state on a broad range of business topics. Seminars are presented by our certified business advisors or local and national experts. In-person workshops are a great opportunity to get hands-on assistance in a group setting, all while networking and connecting with other entrepreneurs. Online workshops are available at no charge 24/7 on a broad range of small business topics. These provide a broad overview on topics. Many times, our business advisors recommend you complete an online workshop prior to your meeting so that you both can make the best of your time together.